A muscle-controlled interface has been developed by researchers at Microsoft, the University of Washington in Seattle, and the University of Toronto. 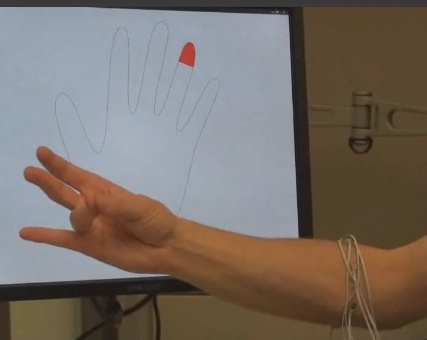 The device senses muscular movements in the forearms to allow for hands-free, gesture control of electronic devices. End update. From MIT's Technology Review; see a short technical video.